Object of the completion: a land plot with a total area 15 hectares (cadastral number 3211200000:02:010:0037), is a part of zone, where the enterprises of the second class of environmental pollution and require sanitary protection zones of 500-300 meters(addition the Concept of industrial park “Fastindustry” in Fastiv city). The territory is free of building. The term of the land’s using within of the “Fastindustry” is made up 30 years in Fastiv city. 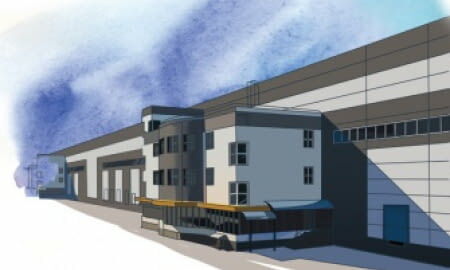 The “Fastindustry” industrial park is included to the register №17 industrial parks of Ukraine. It’s an implementation the conception of development the “Fastivindustry” industrial park in Fastiv town. For the effective functioning the production of industrial park’s participants is the building providing of complete complex erection. The obligatory registration of industrial park’s participants(entities) on the territory of Fastiv town. The using of lands within the industrial park must occur to the sanitary-epileptic and ecological requirements. In accordance with a current legislation there is a granting of land plot in a lease on the term of action agreement with a right for transmission in a sublease. The Provision of permanent functioning of industrial park ‘’Fast industry’’ in Fastiv. Additional information about the contest for the election of managing company of industrial park ‘’ Fast industry’’ can be received in the administration of economics and international cooperation of Fastiv city council executive commit tee to address 08500 Kiev region Fastiv city Soborna square 1 cab 319; to e-mail: economika 101@ukr.net or to tel ; 04565 616 70. The registration fee is 1700.00 hrv (the registration fee is payed by cashless settlement on the current account of initiator of industrial park organization and it’s used for the organization and procedure preparation. Messages about competition participation ; proposals from participants: contest documentation can be received to address: 08500; Kiev region Fastiv city Soborna square 1 cab 31 .or to e-mail: economika 101@ukr.net. Competition conduction begins on the 12th of March 2018. Proposals from participants are taken till 17.00 11th of April 2018. Opening of envelopes with proposals will be held at 11.00 o’clock on the 12th of April 2018 to address: Kiev region. Fastiv city Soborna square 1 office 109.